A day after the Organization of Petroleum Exporting Countries (OPEC) reached a deal Wednesday to reduce output by almost 700,000bpd collectively, Libya has stated that it will be an exception to the deal that could be finalized in November during the oil cartel summit. The deal was reached on the sidelines of the International Economic Forum (IEF) held in Algiers. Mousa Al-Koni, member of the Presidency Council, represented Libya and twitted after the IEF meeting that they could continue to increase production until the pre-conflict levels of 1.6 million bpd are attained. The ongoing Libyan year war that began in 2011 as an uprising against the Gadhafi regime has deeply affected the operations of the oil sector. Chairman Mustafa Sanalla of the National Oil Corporation (NOC) stated this week that production levels are around half a million bpd. NOC wants the nationwide output to reach almost a million bpd before the end of the year. 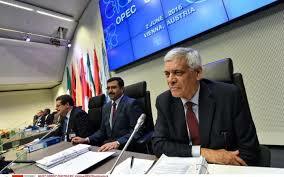 Following the announcement of OPEC agreement to cut production in order to boost oil prices, analysts were concerned about its implementation because countries such as Iran, Libya and Nigeria are striving to increase their production which is collectively estimated at around 1,5million bpd. A committee was established to report on how the cut will be implemented by November with the cooperation of some non-OPEC members such as Russia. Since the announcement of the agreement, oil prices rose by almost 6% but are still far below the $120 mark in June 2014, prior to the nosedive, as it continues to fluctuate between $50 and $40 for a barrel. Posted by Peter Mulvany on Sep 30 2016. Filed under Energy, Headlines, World News. You can follow any responses to this entry through the RSS 2.0. Both comments and pings are currently closed.